We have certainly experienced some significant drought conditions lately. 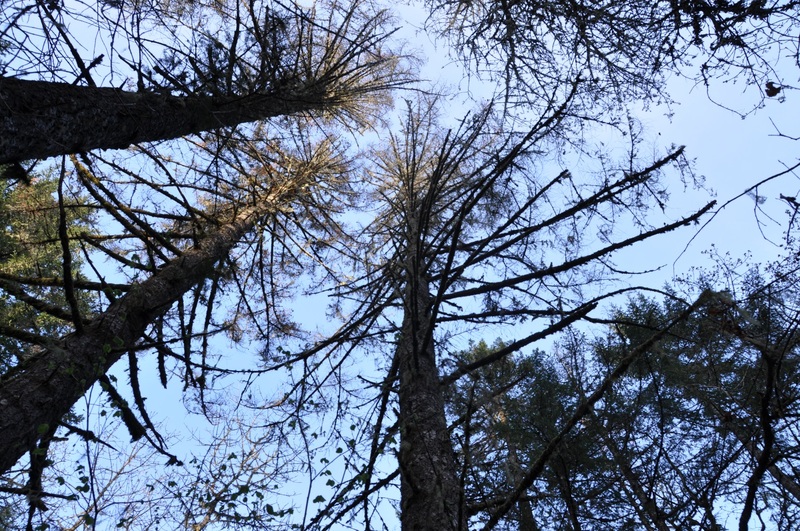 Stressed and dying trees are showing up all around the Willamette Valley, with concern that this could lead to beetle outbreaks and still more trees killed. Is it time to throw in the towel, cut your losses (so to speak) and just salvage everything that is looking poorly? Maybe, maybe not. The decision needs to be considered carefully, weighing individual sites and stand conditions along with your objectives for your property. Anybody considering a salvage harvest needs to look before they leap. As we’ve discussed several times over the past few years, 2013-2015 were hard drought years and we continue to see the cumulative effects on our trees. Many trees, conifers in particular, have dead tops or have died outright. Since drought symptoms typically take a season or two to be expressed, what showed up this year is a result of damage from 2015. So far 2016 is proving to be a more normal year, though it remains to be seen how the fall and winter will play out. If we continue to get decent rainfall then we should start to see new damage taper off, but it’s too early to tell. Beetles are a concern and both Extension and ODF have been getting plenty of calls about this. Yes, bark beetles have been more active in the Valley this year in drought-stressed stands. We expect this since beetles make their living off of dying trees, and are often seen more as a symptom than a cause of problems. Having drought stressed trees does not automatically mean bark beetles will come find them. 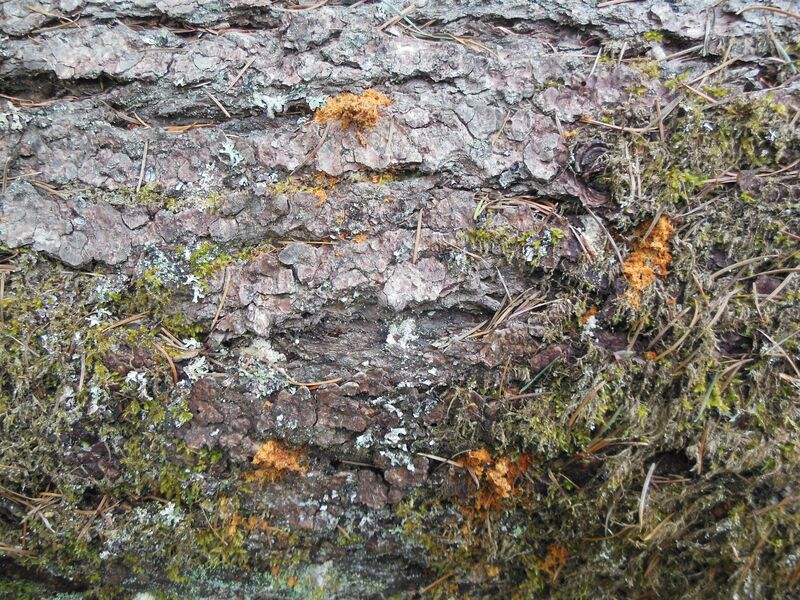 And there are several types of bark beetles, some more damaging than others. 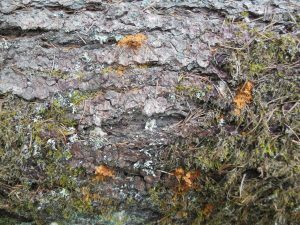 That said, if you have trees that suffered partial damage a year or two ago, and then died completely this year, it is worth taking a closer look on these and surrounding live trees for signs and symptoms of bark beetles such as pitch streams, frass, and fading crowns on live trees. Fact sheets from the Oregon Department of Forestry on the Douglas-fir beetle and the fir engraver will help you. If you see something of concern you can contact the ODF Forest Health experts or your OSU Extension Agent for help (for backyard trees, call a certified arborist). Where there are significant numbers of beetles, landowners will be looking to sanitize their stands by removing infested trees before new adults emerge next spring. This is where you want to exercise caution and be wary of door knockers. Regrettably there is a history of shady operators approaching landowners telling them one story or another about their trees dying or markets disappearing and encouraging them to harvest trees “before it is too late”. It is invariably tied to an offer to take care of the problem for them. Unfortunately, the landscape is littered with stories of folks who have accepted those offers and sold off some timber they had not otherwise intended to sell, often for much less than it was worth. We are aware of a number of small woodland owners in the Valley having received unsolicited offers to buy their timber as a way to mitigate drought damage. The “buyers” warn of all the trees damaged by drought being killed by beetles and being lost unless harvested, and encouraging people to sell and get some value before everything dies. Unsolicited offers to buy timber are nothing new to small woodland owners, and we always advise to be wary of them. But this seems like a time to be particularly cautious. An unsolicited buyer offering to assess the health of your trees for you is a clear conflict of interest and a definite red flag. One outcome could be the buyer exaggerating the potential for future loss, thereby convincing you to sell healthy trees you had no intention to log or to accept a lower price for the timber than you’d like (claiming that it’s “better than nothing”). Have a third party help you evaluate damage and if you think you want to proceed with salvage or sanitation harvest, move ahead as recommended with any harvest and seek bids from different operators. You should realize that nobody knows the fate of these trees with any certainty. Drought conditions may be winding down, or may stick around for a while yet. Both choices – wait and see or do some preemptive salvage – involve risks that you need weigh. Don’t be driven by speculative claims about the trees dying, and do not panic. One or two beetle-killed trees in a stand is not an uncommon event and not a certain epidemic in the making. The decision to salvage needs to be well-timed and well-planned. Starting the job and then not finishing before beetles emerge in spring, or not properly dealing with slash, can make matters worse instead of better. Applying pheromone caps is another option to protect healthy trees if beetle-infested material cannot be removed in a timely manner. So, suppose that you’ve done your homework and decide that salvaging drought-damaged or insect-damaged trees is in your best interest and meets your property objectives. You still have some due diligence to take care of. Get bids and ask the logger for references, go see his past jobs and talk with people who worked with him. Contact ODF to find out if there are any past violations, or the Association of Oregon Loggers for information on their credentials. Finally, insist on a written contract. Consult these publications for more guidance: Small Scale Harvesting for Woodland Owners and Contracts for Woodland Owners. A final note, landowners in Linn, Benton and Lane Counties can sign up receive Emergency Forest Restoration Funds to remove drought-killed trees through the Farm Services Agency. More info here (scroll down). Folks in the northern Valley counties can get in touch with their local FSA to check on the availability of funds.